Today, with events like Hurricane Harvey, Las Vegas, and most recently, Sutherland Springs, Texas, public safety personnel are facing mass casualty incidents (MCIs) in several forms. There are three (3) things that major hurricanes, active shooter incidents, and other large-scale emergencies have in common. These incidents have the potential to overwhelm emergency response systems built around traditional command boards and tactical worksheets. These emergencies require an organized approach, and outcomes can be improved with the use of incident command software, and/or accountability software. These incidents often result in mass casualty situations that require triage, treatment, and rapid transportation, adding another dimension to the incident management and accountability challenge. Coordinating large groups of fire and allied public safety resources responding to multiple victims over large geographic areas is a much different undertaking than responding to a smaller, day to day incidents. These high profile, large-scale events require an increased level of focus on personnel accountability, incident tracking, and interagency coordination. Some of the newer and more intuitive versions of incident management software, such as Tablet Command, can provide powerful tools to support the mitigation of these emergencies. First-arriving fire officers will be challenged by a number of factors at the outset of the incident. Primarily, they will have to fight the impulse to "get involved" in the chaos and will need to step back and take command. During MCIs and other major emergencies, the incident commander will need to address how to stage and assign resources as they come flooding into an incident. 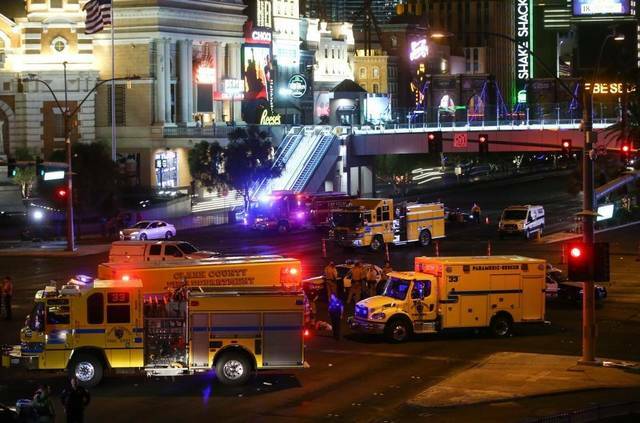 In the case of the Las Vegas shooting, resources from multiple agencies rapidly entered the response plan. Having an Incident Management Software that is capable of auto-populating any assigned resource preserves critical communications bandwidth and saves steps for the Incident Commander. Incident Management Software such as Tablet Command enables an incident commander to select an agency-designed, incident template that is specific to the emergency type. 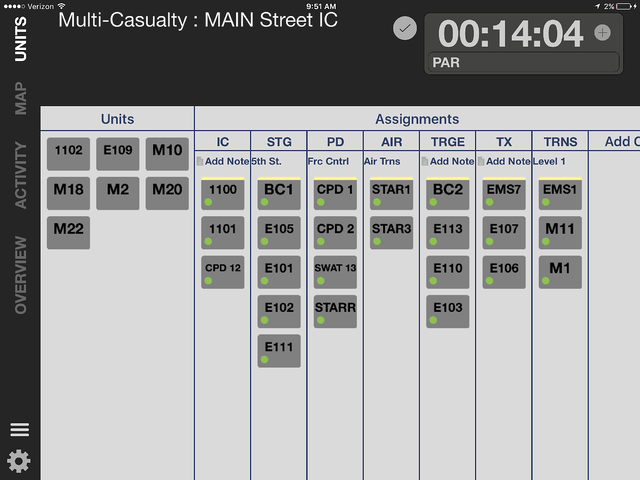 With drag and drop capabilities, an incident commander can immediately assign assigned resources to specific tasks which support the tactical and strategic objectives of an emergency. Incident command structures are adaptable to any emergency or high profile event, and offer the capability of employing a Unified Command structure with allied agencies such as Law Enforcement to accommodate a variety of strategic and tactical needs. In the case of active shooters, it’s all about getting the bad guys while treating the wounded. These incidents are key examples of how Fire and Police come together in Unified Command to accomplish this. These emergencies present challenges to Incident Commanders as units from several agencies rapidly arrive on scene. 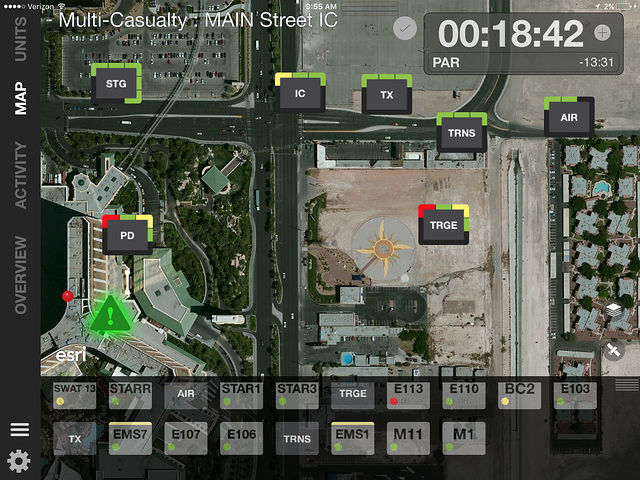 Incident management software such as Tablet Command can help Incident Commanders heighten their situational awareness and quickly organize an incident. Sadly, these events are becoming the "new normal" for public safety agencies, but Incident Management Software can provide a critical boost to incident organization, first responder safety, and a faster resolution of the emergency.